Being brush pens they have all of the versatility of watercolour paint in a pen. They can be used for quick sketches, additions to existing work and due to the brush tip both fine and thicker lines are easily achievable. The brush nib varies from approximately 4mm at the base to less than 1mm at the tip - varying pressure will give you a whole range of different stroke widths. To further enhance your work you can add water with a wet paintbrush, or use the blender pen for controlled blending. I previously had the pack of 10 so I knew I liked the pens but I wanted to get more colours! 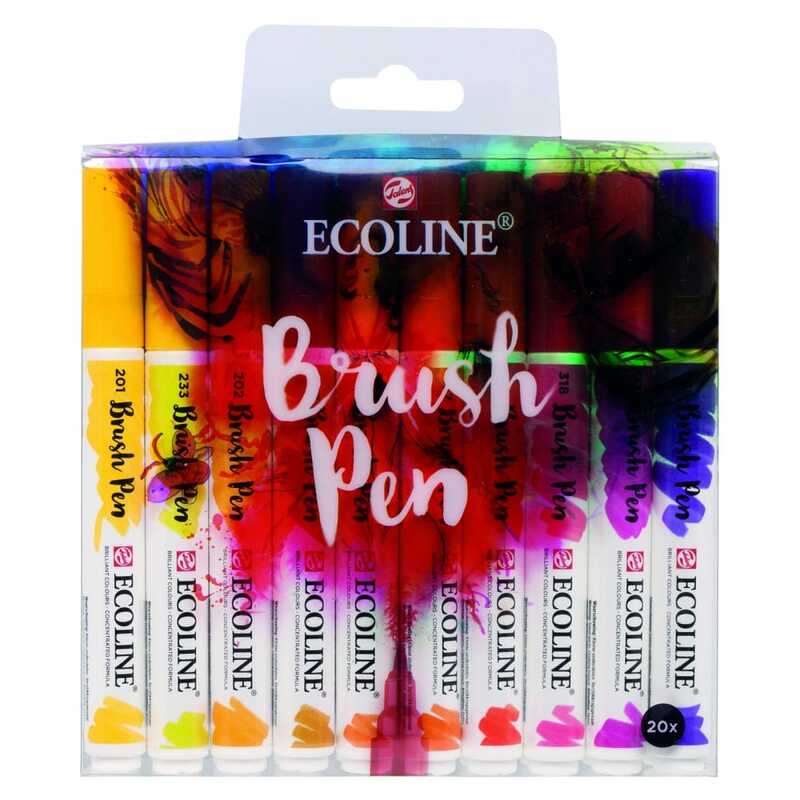 They are quite a soft brush tip (not the bristle kind but the flexible kind which I prefer) and very juicy with vibrant colours. The nib is pretty large so you can get some very broad lines or finer ones which is useful for brush lettering.